With an impending General Election and growing public concerns over housing and the health of the High Street, it appears the government is now looking to scapegoat its own much vaunted National Planning Policy Framework (NPPF). Although welcomed for its simplification, the NPPF has been criticised in a DCLG report for leading to inappropriate and unwanted housing development being forced on communities and not protecting town centres. The DCLG select committee welcomed the simplification of the planning system. However its report suggests the NPPF might be amended to take into account the possibility of inappropriate housing and the threat of out of town development – both issues that continue to make headlines across Kent. 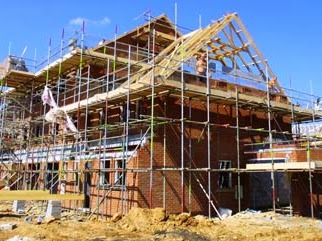 With a national housing shortage, and growing population, the report has warned of the impact of speculative housing-based planning applications. It highlights what it describes as ‘loopholes’ in the NPPF focusing on the viability of housing land as leading to inappropriate development, and argues these should be closed. Once again the underlying bad guy in all this is the developer community as the government seeks to deflect attention from the shortcomings in the delivery of planning services across the country. In reality the Government should look closer to home with many local authorities (including many across Kent) not having a compliant NPPF Local Plan, notably by failing to show they have a five year housing land supply. Yet with local authorities under serious financial pressures there’s an incentive to permit residential development in order to unlock the New Homes Bonus. And the scale of the incentive is huge. Since April 2011, local authorities have received almost £3.4 billion from DCLG for providing 700,000 homes and conversions and bringing 100,000 long term empty properties back into use. The report calls for local authorities to speed up their Local Plan making policy, but this requires greater resources at a time when every authority is examining every penny, not forgetting the need for robust community engagement and political willpower, rather than simply bowing to public pressure. The impact of Permitted Development Rights (PDR) were also put in the spotlight by the report. It argued that in order to protect town centres, shops and buildings used for financial and professional services should require planning permission before being converted to residential and not PDR. PDR may be playing an important role in delivering town centre homes, but it is undermining many business communities, as offices are converted leaving local firms struggling to find suitable premises. The next few months will be interesting as the Government is likely to try and distance itself from other policies that failed to win public support as manifestos come forward. As a result the development community can expect to be put under greater scrutiny.